German Music Festival Bans Gaelic-Punk Group? 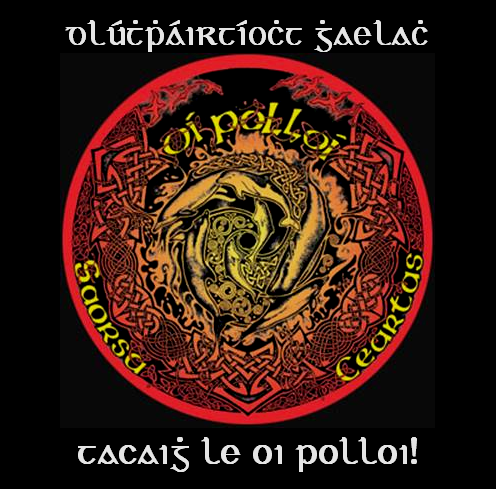 Some surprising news from Scotland’s well-known anarcho-punk band Oi Polloi, a bilingual group who produce songs with both English and Scottish Gaelic lyrics. They have issued a statement on their Facebook Page claiming that the organisers of a music festival in Germany have objected to the band playing Scottish language songs and cancelled their planned gig. All very strange and uncharacteristic of most European music festivals I have heard of. I will update when I hear more. Ta deistean orm an nuacht seo a chloisint ! Anne, I agree. All very strange and beyond understanding. But then Germany’s political extremes are very strange. From what they are saying its seems that all indigenous peoples are “terrorists” in one sense or another. I exaggerate but their thinking defies understanding. They cannot be that ignorant of affairs in north-western Europe?